As this is a group practice you may consult any of the doctors but it is in your interest to stay with one doctor for each period of illness. Routine appointments may be made in advance (maximum four weeks) which will enable us to offer you a time more suitable for your requirements. The doctors offer routine telephone consultations for instances which do not require a physical examination. All consultations are by appointment and these can be made by telephoning 01375 480000 or calling into the surgery. In order to make the best use of a clinician’s time you may be asked some questions when you are making the appointment. This is so we can offer you a consultation with the most appropriate person to deal with your condition (ie doctor or practice nurse). Please remember that an appointment is for one patient only. If you cannot keep your appointment, kindly let us know as another patient will always take advantage of your cancellation. There is also a GP at Orsett Minor Injuries Unit offering a walk in service and on day appointments for urgent medical issues only. Open 11am-6pm, Monday- Friday and 12-3pm Saturday-Sunday, appointments are booked directly with MIU (Tel 0300 300 1527) or walk in. This service is only temporary and may cease in the future. You can now see a GP or practice nurse on the weekend following the launch of the Thurrock Health Hubs. Each of the hubs has a single GP and nurse seeing patients. The Health Hub for our area is located in Thurrock Community Hospital, Long Lane, Grays, Essex, RM16 2PX and is open between 9.15am and 12.30pm. All visits are by appointment only and these are booked through Chafford Hundred Medical Centre as usual. For more information, visit the hubs’ page on the Thurrock CCG website. If you are confronted by a serious problem such as severe chest pain or severe bleeding call an ambulance (999) before calling the surgery. The unit is able to examine and treat 'walking wounded' patients and have x-ray facilities for limb injuries (over 7 years old only ). The closest Minor Injuries Unit is at Orsett Hospital, Rowley Road, Orsett, Telephone 01268 592300. If you are in any doubt telephone the unit for advice. Patients whose illness prevents them from attending surgery can be visited in their own homes. Requests for calls should be made as early in the day as possible, bearing in mind the surgery opening times. Also remember that we can see several people at the surgery in the time it takes to do a home visit, so it would be helpful if you did not request a home visit unless you are too ill to come to the surgery. Lack of transport is not a valid reason for a home visit. When the doctor or practice nurse sends you for a test please ask them if you should make a follow-up appointment before you leave the surgery. Alternatively, results are available by telephoning the surgery, between 3.00pm and 4.00pm (12.00pm-1.00pm on Thursdays), three working days after the date on which you have the test taken. Please note that some results such as for cervical smears, x-ray and general ultrasound will take longer to come back. 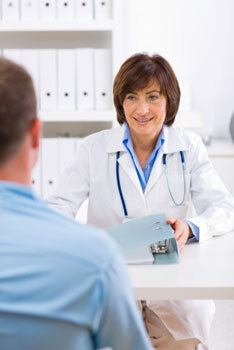 To ensure confidentiality, results will only be given to the patient concerned. 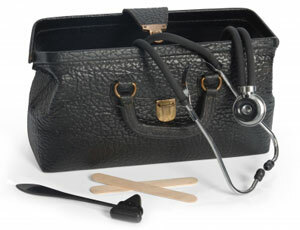 Please note that all tests are seen by the doctor before the result is given to the patient. In all cases, our staff are instructed not to give pregnancy test results over the telephone, therefore a routine appointment with the doctor should be made for when the result is back. When making an appointment to discuss a test result please arrange this with the doctor who sent you for the test in order to ensure continuity of care. All samples should be handed into reception before 10.00am Monday to Friday. Please ensure that your sample is clearly labelled with your name and date of birth and it is in the appropriate container. Please do not cover the container with any form of wrapping or sellotape. 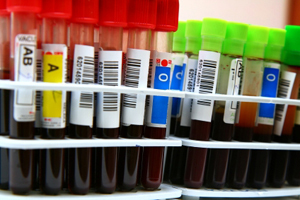 Blood tests can be undertaken at a number of sites, details of which are available at reception. Cancer of the cervix can be prevented and all female patients between 25 and 64 years of age are advised to have regular smear tests. These tests are important because they can detect early signs of disease which is easily treated. A call and recall system is operated to remind you when your test is due. Please make an appointment with the practice nurse when appropriate. The new system will require you to have a user name and password which will then allow you to log on to the Practice clinical system and book or cancel appointments.